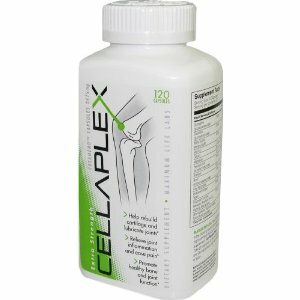 Cellaplex is a joint supplement manufactured by Maximum Life Labs. With 6/9 ingredients we are looking for in a joint supplement, Cellaplex is quite comprehensive. Cellaplex has CMO and boron in addition to ingredients normally found in other joint supplements. We found no artificial dyes or other dangerous chemicals in Cellaplex. 3.0 stars out of 5. The dosage of Cellaplex could be doubled for maximum results if needed. Glucosamine Has 700 mg of glucosamine sulfate, less than half the average supplement. Glucosamine is a precursor to glycosaminoglycans which are a major component of joint cartilage. Chondroitin Sulfate Has 250mg of chondroitin sulfate, less than half the average joint supplement. Chondroitin makes up glycosaminoglycans which are a component of cartilage. Boron Has 2mg Boron, one of the most important ingredients for joint health. People that have boron as a part of their diet have a lower chance of developing osteoarthritis. Methylsulfonylmethane (MSM) Has 300mg MSM, less than half the average. MSM is a vital source of sulfur for protein and connective tissue synthesis. Boswellia serrata Does not have boswellic acid. Boswellic acids are anti-inflammatory compounds. Cetyl Myristoleate (CMO) Has 125mg of cetyl myristoleate. Cetyl myristoleate is a compound found in the joints of arthritis-resistant mice. Hyaluronic Acid Has 50mg of hyaluronic acid, more than the average supplement. Hyaluronic acid is a vital fluid found in the synovial (joint-lubricating) fluid.